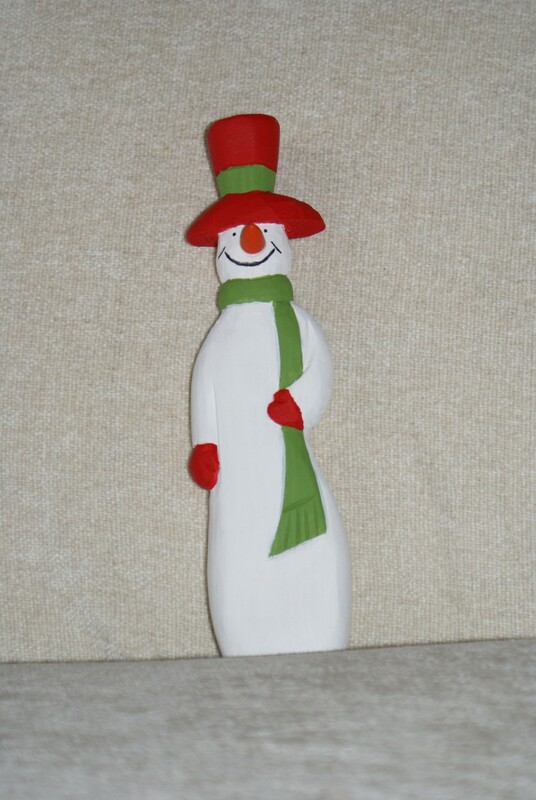 Home / STORE / Snowmen / Wooden Snowman. This frosty Snowman stands approx 24cm tall is made from wood and painted with a red hat and gloves with a green scarf. His carrot nose is a wooden cone.